Introduction: “Gospel in a groaning world” was the theme of the previous quadrennial. 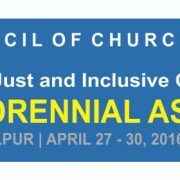 The present quadrennial has the theme “Towards Just and Inclusive Communities”. During the assembly we deliberated on this theme in detail. This morning I wish to share some thoughts on the theme of “inclusiveness”. Inclusiveness in simple terms means comprehending everything, containing everything and including everything. In human terms it means accepting and respecting others who are different from us, giving opportunities to those who are marginalized, and working towards a community without discrimination of gender, caste and creed. What does this term mean in our Christian faith? What are its implications in our community life? These are some of the questions we need to deal with. Principle 1. 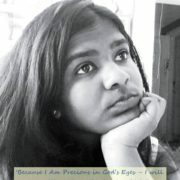 God is the most important principle. Col.1:17 says that God is the basis of all things. We can call this principle also as unity in creation. It is by the word of God (divine fiat) that all things were created. Human beings were designed by God’s hand. The source is the same. Therefore, all creation will have to be finally restored to God. That is God’s purpose. Principle 2. Life and its resources. Life is a gift from God. It is a common factor for all creation. Life has many forms. Think of the simple common things that we share as part of our life-sustaining system. The air we breathe, the water we drink, the sunlight we enjoy are some of them. All creatures share them. All of them originate from God. People belong to different religions and faiths. Yet, we are all grounded in the same source – life. So, life has priority over religions and faiths. The life which comes to us as a gift from God binds us all together. “Let the mind of Jesus be in you? (Phil.2:5). Even the purpose of incarnation was to show the world God’s concern for all God’s creature. The mind of Jesus Christ was large enough to accommodate all kinds of people. No one was left out! He chose twelve disciples: fishermen, tax-collectors and people from all walks of life. His inclusive mind could accommodate without any hesitation the Samaritan woman who was an outcaste in Jewish eyes. Zachaeus who was a tax collector, children who were stopped by disciples, lepers, blind people, women with different kinds of sickness and even a prostitute. They all were highly blessed by his inclusion. 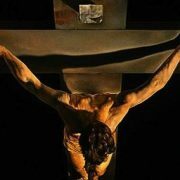 Secondly, Jesus Christ died for the world. Col. 1.20 says that he will “reconcile all things unto himself, whether in heaven or earth.” Last Sunday CNI-CSI-Mar Thoma lectionary was about Gospel for all people from all quarters. Peter insisted on circumcision before becoming Christian. He did not want to include gentiles to the community of believers. His mind was not inclusive. Paul, on the other hand, proclaimed the gospel to all gentiles and declared that, in Christ there is no Jew nor gentile, no circumcised nor uncircumcised. Inclusiveness demands that we accept plurality as the design of God. Many colours, many races, many genders, etc. Our world is like a garden of flowers of many shapes and colours. As human beings we are created in different shapes, sizes and colours. We have many cultures and languages. It will be foolishness to conclude that one’s own culture and language are superior to those of others. Hitler tried for racial cleansing and killed six million Jews. Now in our own country we see such tendencies developing. The recent activities of the Islamic State arise out of unwillingness to accept people who believe differently. We need to confront these situations with utmost care. Inclusivity demands a change in our attitude of respecting who are different from us. Allow me to take a case from among us. We have thirty member churches, some of us are Episcopal and some of us are non-Episcopal. Some of us are Syrian Christians, some are not. Some of us are Christians for almost 2000 years, some of us are only 150 years. Some of us are huge in membership, some of us are small. We are different from each other in our teaching about sacraments. Some of us, like the Salvation Army, do not have baptism and Holy Communion. We can fight over our faith and order and get ourselves divided forever. But, it is our acceptance (sometimes with reluctance!) of each other that brought us together as NCCI, united in our unifying Jesus Christ. We do not presume that our mutual acceptance is flawless. We need to go many more miles. Christian attitude of inclusiveness recognizes the value of all creation in the purpose of God. Human beings are not the centre of creation. Other creations and creatures of God are equally important. This insight dawned on us only recently. Now we are urged to take care of the planet in which we live. Keeping the eco-balance is imperative to the sustenance of creation. 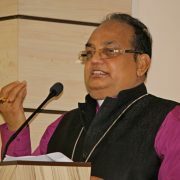 Inclusiveness also demands that we open our minds to the needs and ministry of the marginalized and less privileged like the Dalits, Tribals, women and children, people with disabilities, people of different genders and all other historically disadvantaged and excluded so that they will find their rightful place in our communities. Attitude of inclusiveness does not come hereditarily. It has to be learned through human experience. This can be learned best through the participation in the activities of ecumenical organizations like NCCI. Here we get exposure to other denominations, languages, cultures and religions. Here we get opportunity to participate in the worship service of other denominations, chance to learn about other religions. We get ample occasions to feel with the marginalized and deprived. Let us make a commitment to be inclusive first in our own mind and attitude and then, build up an inclusive community.